The Nigeria Labour Congress (NLC) has cautioned the federal government against heeding the advice of the International Monetary Fund (IMF) to remove subsidy on petroleum products, because the move would result in astronomical increase in the pump price of petroleum and cost of other goods and services. Instead, the President of NLC, Ayuba Wabba, who spoke during the inauguration of the local organising committee for 6th African meeting of solidarity with Cuba in Abuja, said the federal government should do something urgently to revamp the local refineries which are presently in camotose due to high level conspiracies. But the Nigerian Association of Energy Economists (NAEE), was rather in support of the recent call on Nigeria by IMF to end subsidy on petrol, saying it was beneficial only to elites in the country. Also, the Executive Director of Civil Society Legislative Advocacy Centre, a not-for-profit organization based in Abuja, Mr. Auwal Musa Rafsanjani has called on the Nigeria government to yield to IMF’s call on the need to end subsidy by fixing the refineries and by extension prevent avoidable wastages that have continued to stymie the nation’s economy. But the NLC, which disagreed with the IMF maintained that among the agenda usually set for any president that emerges in the country are the devaluation of currency, removal of subsidy, and opening of the country’s borders to free trade. Wabba said the meaning of fuel subsidy in the understanding of the NLC is nothing but funding inefficiency in the downstream sector. According to him, the solution to the problem of subsidy is local refining of products, which will drive down cost of products and end the corruption associated with the present subsidy regime. “In Nigeria, the removal of subsidy is synonymous with price increase and all of us know that the system is shrouded in corruption. So, clearly that recommendations is not only faulty, it is wrong. NLC consistently said that what needs to be done is to refine products for domestic use. “So, naturally, you will kill subsidy and corruption. And do what IMF is prescribing is to transfer the corrupt tendencies of the so-called subsidy now to the citizens. The fact of the matter is that Nigerians are so impoverished that any price increase certainly cannot be pushed down the throat of every Nigerian and so let’s tell our government that they should be wary of this decision,” he said. Speaking further, he claimed that, “The issue of whether there is indeed fuel subsidy as President Muhammadu Buhari had queried some years back, that question has not been answered. We are actually corroborating what the president said in the past that subsidy is corruption. Who subsidising what? This has remained the position of the NLC for many years,” he said. 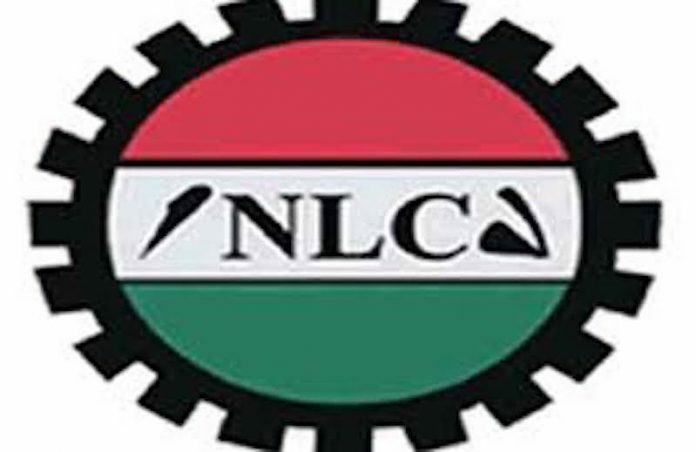 Arguing that refining the crude locally was not rocket science, the NLC president said that the union would soon submit a documented position on how to solve the troublesome issue of fuel subsidy in the country. He said from the findings of the NLC, nothing was wrong with the country’s refineries other than conspiracies by the beneficiaries of the fuel subsidy scam. “There is nothing wrong with our refineries. The existing refineries can be upgraded from one capacity to another. Even the four refineries that we have, if the service are upgraded, they could serve the entire West African sub-region and beyond but because it pays more for corrupt tendencies, that is why we prefer importation than refining products locally for domestic use. He posited that countries like Venezuela is being celebrated for their principled stand on implementing policies that support local refining of petroleum products. “We knew that Venezuela is our counterpart among the oil producing countries in the world. Before the conspiracy against Venezuela, the country refined products for domestic consumption and among the OPEC countries fuel sold the cheapest in Venezuela,” he added. Earlier, the Cuban Ambassador, Carlos Trejo said his country made various strides in the field of education, medicine and technology, adding that Nigeria and other African countries have benefited from her unique products and multilateral assistance. 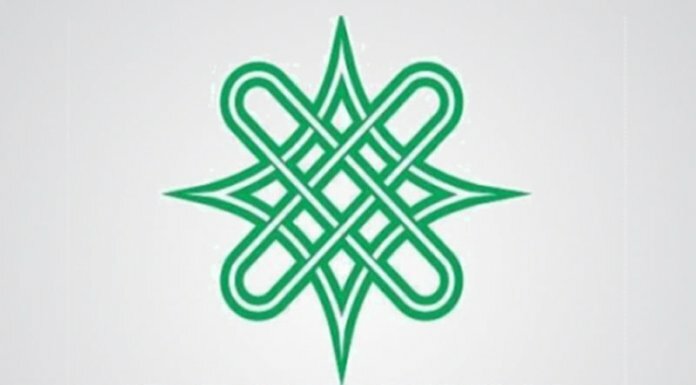 But the group of Energy Economists was of the view that Nigeria’s continuous structuring of her national budget around oil prices and production benchmarks were inimical to her economic development, adding that as long as she has no control over global oil price movements, her budgets with such benchmarks would remain unstable. Speaking to journalists in Abuja on the upcoming annual conference of the association holding this week, NAEE’s President, Prof. Wumi Iledare, explained that Nigeria could not go on with the practice of subsiding petrol, noting that the conference would focus on energy access and efficiency imperatives for sustainable development in emerging economies. Iledare suggested that the practice was wasteful and often done to the detriment of other key sectors of the country such as infrastructure, health, and education. He also claimed that Nigeria’s petrol subsidy expenditure in 2018 was way more than she budgeted for education, health and defence in the same year. “The benefits of petroleum subsidy is far less than the cost of petroleum subsidy. Anytime a government has a policy, there is need for it to be reviewed to see whether the benefits that come from the policy is more than the cost, and all you need to do is look around: the roads are bad; schools are bad; hospitals and infrastructure are bad or not there. He said he understood the government might be scared of public uproar if it stopped petrol subsidy, but encouraged it to go ahead because according to him, the most recipients of the scheme were elites that could afford petrol at market-based prices. “I understand the social unrest is scary but it will be for a while especially if there is enough public education on the subsidy. We are losing the capacity that we have because we are actually giving the elites who are capable of paying for their petrol to drive their car, at a giveaway price,” added Iledare. On structuring the national budget around oil price benchmarks, he explained that the combination of pricing and production volumes to calculate the oil revenue expected to fund the budget was wrong and unwise. “One of it, which is price is highly unstable and that means you base your budget over the year on a price that in three months will change and that is why you see every year we scramble. We have budgeted on price that we have no control. “Government sources of revenue for project in any part of the world is taxation, and that means paying your taxes demonstrates you are a citizen. Government has no other source of money except taxes and when they want to invest, they take dividends, but the moment you start taking your money from the gross revenue that you have without thinking about putting something back to build the equity is when you have depleted reserves,” he explained. According to him, most governments of Nigeria have adopted energy policies that are based on woolly thinking and regional sentiments. “Woolly thinking is when you have policies that have no thread, and that is why when one government comes, it abandons things that are not intellectually debatable and reinvent the wheel. As per regional sentiment, is there any policy in Nigeria that is not regional-based depending on which region of the country the person governing comes from? Politicians cannot solve professional problems using sentiments,” he stated. Rafsanjani, in an exclusive interview with THISDAY, said “the call became imperative looking at the alarming rate at which the nation’s resources are being wasted on subsidy, which has not reflected or added any value to the life of an ordinary Nigerian. “The International Monetary Fund call was right. This is worrisome looking at huge amount of money spent annually on subsidy. Nigeria should have done away with the subsidy long time ago. The present administration while coming promised to stop paying subsidy because they discovered at that time that it is a scam, it is fraud and nothing is being subsidized. “Unfortunately, we have not seen that commitment being fulfilled by the government. The government is spending a lot of money on subsidy. For me and many Nigerians, the problem is not about subsidy, the problem is about corruption, it is about inefficiency in the management of so-called subsidy because once some people imported petroleum to Nigeria, they claimed to have brought certain amount of tones of petroleum, which is not being verified or authenticated and yet they get their payment. “In a recent report, over N5 trillion has been spent on subsidy in the last four years. It is scary. The only way out for the federal government of Nigeria is to fix the refineries so that money being spent on subsidy can be channeled towards education, health and infrastructure,” he said. Commenting on the concerns raised on the state of the Nigerian economy, he said Nigeria had found itself in Zero Economic Stagnation in which the world Bank has rated us, because of absence of sound economic team that would help drive the nation. “It is very disturbing to see the World Bank situation and analysis of Nigeria economy. I think it is also very clear because of the absence of sound economic team. That is why we are not making necessary progress in terms of consolidating and strengthening our economy in Nigeria. “Therefore, it is not surprising given the fact that Nigeria has not made appreciable progress in terms of diversification of economy, in terms of effective economic management, which is as a result of sound policy or legislative framework that would deal with the economy, particularly oil and gas sector. “You would recall that we have been advocating for the Nigerian government to ensure that we have Petroleum Industry law in the country which has been languishing in the national assembly, which would have helped to ensure the economy is strengthened, would have eliminated corruption, duplication of responsibility as well as inefficiency. On the illicit financial flow, he noted that it was a serious issue, because in the region, Nigeria account for over 70 per cent of the illicit financial flow in West Africa and this is an alarming rate which he said has not stopped. “It is still happening, therefore, there is no way a nation can have vibrant and productive financial system once people are deliberate and consciously siphoning public funds abroad. I think government’s anti-corruption should intensify more effort to block these leakages and we must make sure that people that are found guilty or caught in the act are interrogated and prosecuted and recovered money can be injected back into the economy so that the issues of poverty and employment can be reduced. Unfortunately, we have not seen that drastic measure or action happening,” he lamented. Expressing his view on poverty which the World Finance body claimed was like a time bomb ready to explode by 2030, CISLAC boss said Nigeria doesn’t have to wait until 2030, because poverty has already exploded in Nigeria. “When you have a large percentage of the population that is living in abject poverty and cannot afford descent living, they cannot afford education and so on they are already in abject poverty and that is why you see a lot of crises going on in Nigeria. “The crises is going on unabated because of lack of government’s plan to come up with programmes that would deal with poverty by expanding economic base that would encourage diversification, more investment from local and international investors that would help create jobs that would address the issue of unemployment. Although Nigerian government claimed it has achieved so much in the area of agriculture particularly in rice production, he said it was a claim which to him was not backed by any statistics. “Well, just last week, there was a report of an alleged tons of rice being smuggled into the country. So, if we are actually producing that, the issue of smuggling would have stopped. I think government should stop propaganda and actually focus on work that international community would appreciate, because there is a limit at which one can blow obvious lies. He therefore called on the Nigerian government that it should be more focused, block leakages and stop making exaggeration, put sound economy team in place, create economic diversification that would encourage private sector to drive the nation’s economy.